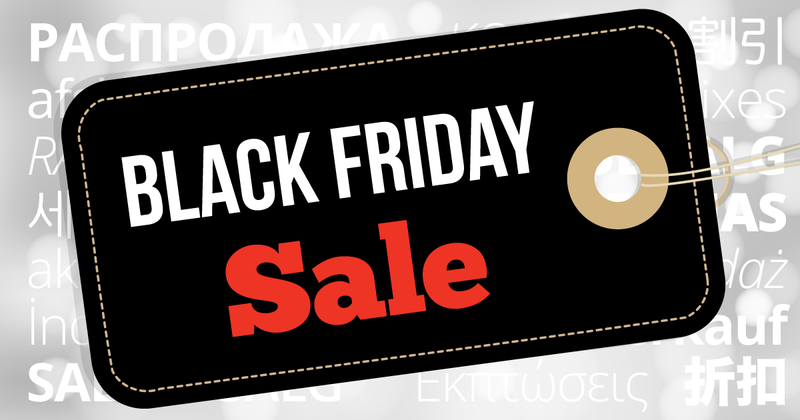 In this episode you’ll learn to make requests using the correct adjectival forms. Join Mark and Andrea as they look at using adjectives in the accusative case with definite and indefinite articles. 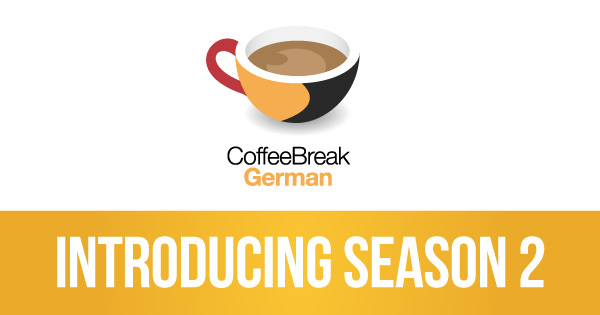 We’re delighted to announce that Coffee Break German Season 2 will launch on Monday 13th February. 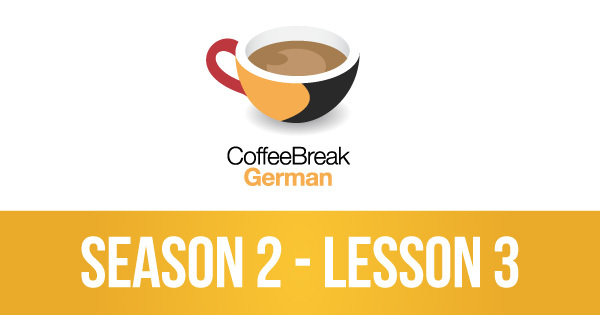 In this video, join learner Mark and our new teacher Andrea as they discuss what’s coming up in Season 2. Julia, our Cultural Correspondent, also joins us for the new season. 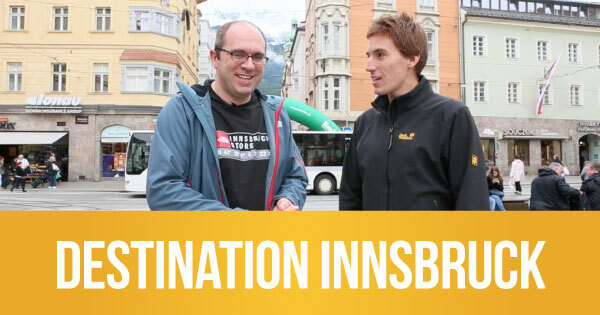 In the final episode of this series of Coffee Break German, Mark reflects on his visit to Innsbruck and Thomas helps him talk more about things in the past in German. 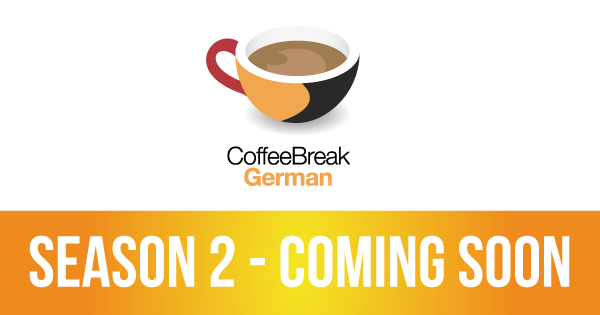 In this latest episode of Coffee Break German, Mark puts his German to the test as he joins some friends of Thomas as they prepare for a birthday party. Mark’s continuing his trip to Austria in this lesson, and as usual he’s accompanied by Thomas who is helping him practise his language skills. 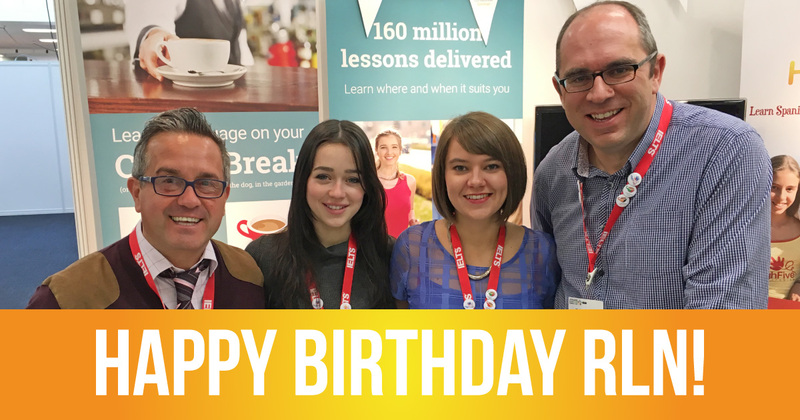 This week Mark’s buying postcards and Thomas is buying sports shoes with his friend, Daniel. In the latest lesson of Coffee Break German, Mark and Thomas take a trip to the nearby town of Schwaz and visit the Tourist Information Office to find out what there is to do and see. In this week’s lesson, Thomas joins Mark for breakfast at the hotel and they have a conversation with another hotel guest. Mark is continuing his trip to Austria where he’s practising his German with cohost Thomas. In this episode they eavesdrop on a conversation between an American tourist and the hotel receptionist. Mark has travelled to Austria to put his German into practice with his cohost, native speaker Thomas. This week they are travelling into the town centre from Innsbruck airport and Mark has a conversation with the person working at the information desk in the airport to find out how best to get into the centre of town. Mark has travelled to Austria to put his German into practice with his cohost and native speaker Thomas. In this lesson Mark has just arrived at Innsbruck airport and he and Thomas discuss the kind of language he’ll need to take part in conversations during his trip. Introduction Lessons 31-40 of Coffee Break German have been recorded in Innsbruck, Austria. In this short video introduction to these lessons, Mark joins Thomas in the Marienplatz to talk about what is coming up in this next batch of lessons.